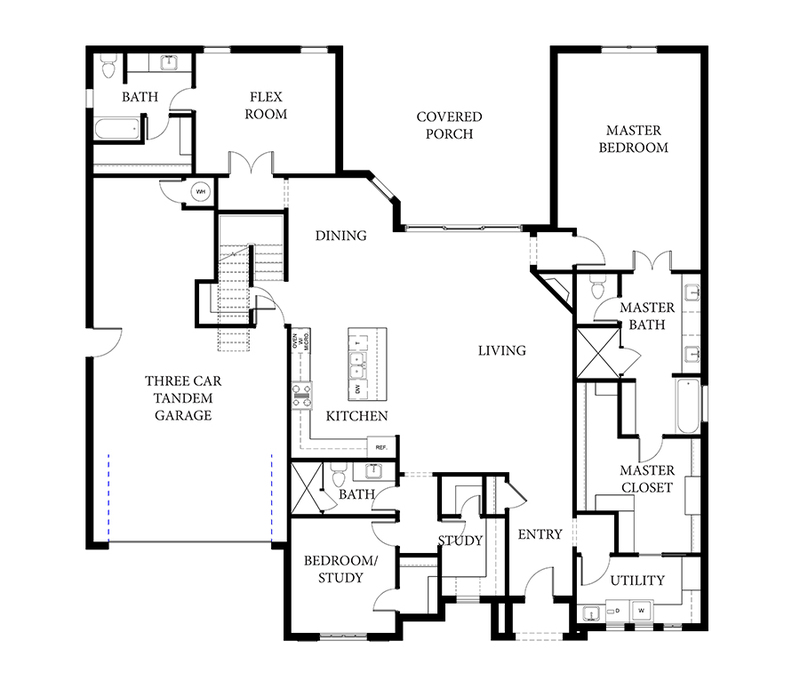 The Avignon III plan was designed with a European exterior charm and lots of interior flexibility! This open floor plan has 2,696 sf – 3 Bedrooms, 3 bathrooms – 2 flex rooms – built-in office and a bonus room/walk-out storage option. Large glass patio doors allow an unobstructed view of the large outdoor living space – Master closet has direct access to the utility room – 3-car tandem garage. Camden Park features a gated entry and maintenance-free living at it’s finest. Amazing clubhouse situated within a 2 acre park – resort style pool – fitness, full kitchen, great room, coffee bar, outdoor grill, fire pit, pergola. This home is ideal for entertaining and the new community is a must see!